When Did Noah's Flood Happen? Unlike all other religious texts, the Bible supplies hundreds of time stamps for key events. They let us test the Bible against itself and the history recorded outside the Bible. However, not all the Bible’s timed events add up easily since ancient authors used different counting practices at different times. For example, they may have begun counting the years of a king’s reign while that king’s father was still on the throne. Recent success in calculating a precise biblical timeline back to Abraham suggests that dating Bible events can reach back even further than that. Unlike all other religious texts, the Bible supplies hundreds of time stamps for key events. It took scholars a long time to solve enough time riddles so they could determine Abram’s birth at 2166 B.C.1 What took them so long? Too many assumed Scripture got various details wrong. That led to confusion. But a few hoped thorough study might reveal that the Bible has a coherent chronology—a timeline that keeps perfect harmony with every time-related verse. They finally worked out the Bible’s exact timeline back to Abraham. Scholars next wanted to merge the Bible’s chronology with today’s calendar system. 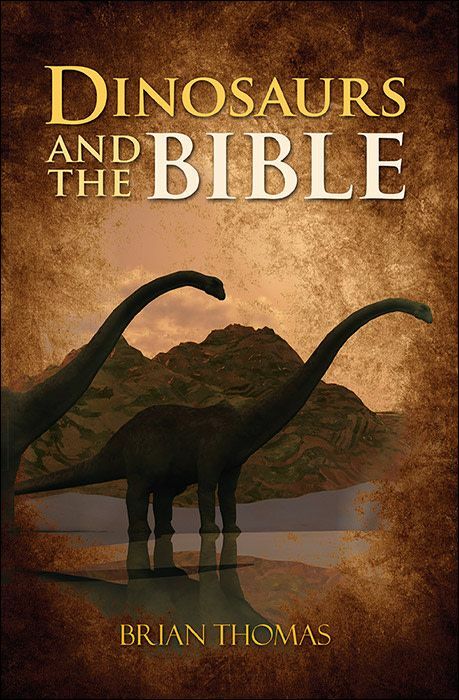 To do this, they needed to find a firmly dated biblical event. Babylon’s terrible takedown of Jerusalem marked the end of Judah’s kings. This one event ties the timelines together. Different scholars separately deduced summer 587 B.C. for the fall of Jerusalem.2 Stone inscriptions of kings’ reigns on monuments like the Babylonian Chronicles exactly fit that date. 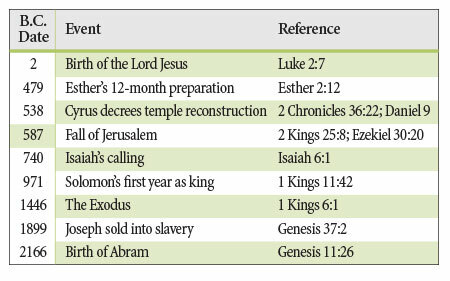 Bible scholar Andrew Steinmann’s book From Abraham to Paul gives the dates in this chart, among many others.3 B.C. dates count backward from year 1, so larger numbers signal older events. Cautious scholars are still working to settle a few final time tangles, but their success so far suggests that the Bible’s verifiable time stamps reach back even further than Abraham.4 The lifespans in Genesis 11 span from Abram back to the Flood. When we add the years listed in Genesis 11 to Abram’s birth year 2166 B.C., we get about 2472 B.C. for the Flood year. Add the 1,656 years from Genesis 5 to that and we get nearly 4128 B.C. for Earth’s birthday, based on the Masoretic text of the Old Testament. 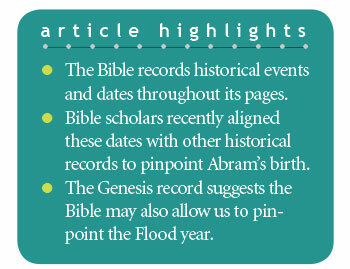 Serious scholars are now closer than ever to using just the Bible to pinpoint ages of ancient events like the Flood. Young, R. C. 2008. Evidence for Inerrancy from an Unexpected Source: OT Chronology. Bible and Spade. 21 (2): 54-64. Young, R. C. 2004. When Did Jerusalem Fall? Journal of the Evangelical Theological Society. 47 (1): 21-38. Steinmann, A. E. 2011. From Abraham to Paul: A Biblical Chronology. St. Louis, MO: Concordia Publishing House. One of these time tangles involves Abraham. Some conservative scholars add 60 years to Terah’s age when Abraham and his brothers were born. See Thomas, B. 2017. Two date range options for Noah’s Flood. Journal of Creation. 31 (1): 120-127. However, Thomas Ice and James Johnson showed a coherent chronology without these 60 years. See Ice, T. D. and J. J. S. Johnson. 2002. Using Scriptural Data to Calculate a Range-Qualified Chronology from Adam to Abraham. Presented at the Southwest Regional Meeting of the Evangelical Theological Society at The Criswell College in Dallas, Texas, on March 1, 2002, available on ICR.org. Adding gestation months plus birthday months for each generation adds no more than 16 years to the ~2472 B.C. date of the Flood. See Johnson, J. J. S. 2008. How Young Is the Earth? Applying Simple Math to Data in Genesis. Acts & Facts. 37 (10): 4. The Flood at ~2472 B.C. + 2018 A.D. = ~4,500 years ago. 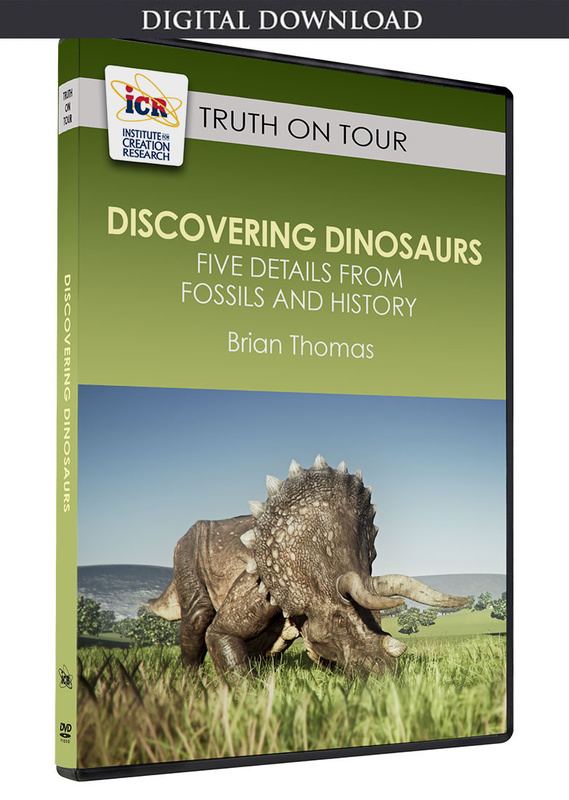 * Brian Thomas is Science Writer at the Institute for Creation Research and earned his M.S. in biotechnology from Stephen F. Austin State University. Cite this article: Brian Thomas, Ph.D. 2018. When Did Noah's Flood Happen?. Acts & Facts. 47 (3).